On Sunday, January 10, 2016, Holy Trinity Armenian Church of Greater Boston continued the celebration of the Holy Nativity and Theophany with the Blessing of the Water Service commemorating the baptism of Jesus in the River Jordan by John the Baptist. 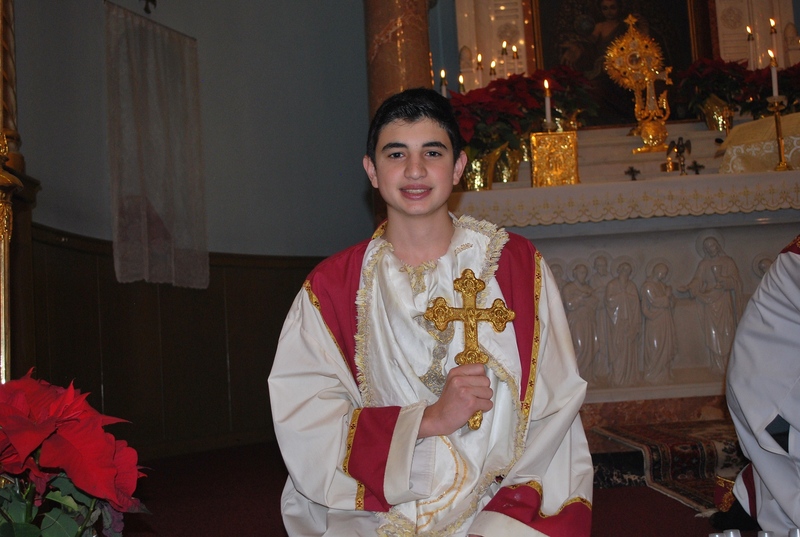 Serving as Godfather of the Cross was Kevork Atinizian II, son of Nigoghos and Roset Atinizian of Belmont MA. Following church services, parishioners came together to celebrate Armenian Christmas with a delicious chicken and pilaf luncheon sponsored by the Sunday School.